Custom Ordered by George's Music Center. We ordered this Classic looking Alpine White ASAT Classic Alnico with a mint green guard, 9.5” radius and rosewood fingerboard. This guitar is a pleasure to play. - Looks and tone to spare! While the G&L ASAT® Classic is Leo’s final word on the traditional single-cutaway bolt-on axe with its Magnetic Field Design single-coil pickups, the new ASAT Classic Alnico has arrived to blend latter-day-Leo with uncompromising Alnico sonic flavor. 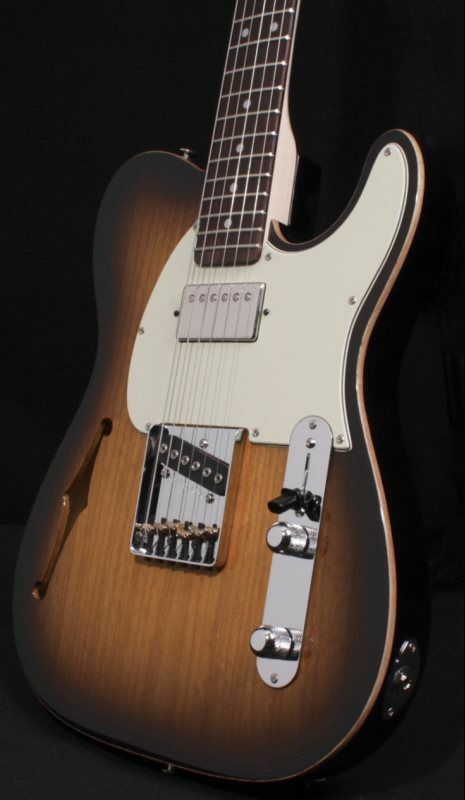 Framed in a classic boxed-steel bridge, the single-coil Alnico V bridge pickup belts out meaty twang that that’ll stop you in your tracks, while individual brass saddles Leo upgraded for the ASAT Classic offer modern levels of intonation refinement. Flip to the Alnico V neck pickup and you’ll discover our spec offers a fuller tone that leaves those anemic old pickups in the dust. What’s more, the two pickups pair beautifully for an exceptionally sweet, jangly tone bursting with harmonics. These Alnico wonders aren’t just another flavor-of-the-week, having been carefully refined by G&L's Paul Gagon for personal guitars since the late 1970s. Back then, Gagon was an R&D engineer at another company when he was tasked with finding out what was so special about the early bolt-on guitars many players raved about. Gagon analyzed many examples of what were considered "holy grail" guitars, spending time out on the shop floor talking to builders still working in the pickup department since the ‘50s, all on a quest to discover where the real mojo was – and wasn’t. What he learned from the builders matched his own engineering analysis. You see, back in the day, the actual spec of pickups coming that down that old production line varied considerably. Moreover, that nagging imbalance between bridge and neck pickup was something he longed to improve on, and today, Gagon’s preferred pairing of Alnico V pickups has arrived to delight the ears of the discerning guitarists. Like the G&L Legacy, the new ASAT Classic Alnico combines best-of Alnico tone with modern Leo touches for a brilliant blend of vintage and contemporary. If Alnico is your flavor, you owe it to yourself to experience what three decades of passionate development have achieved. To commemorate the initial production of these Alnico pickups, G&L has commissioned a special 100-instrument production of ASAT Classic Alnico Launch Edition guitars. The Launch Edition features a Sugar Pine body and coated in a gorgeous new Autumn Burst finish developed by veteran G&L painter, Malcolm McLamore. 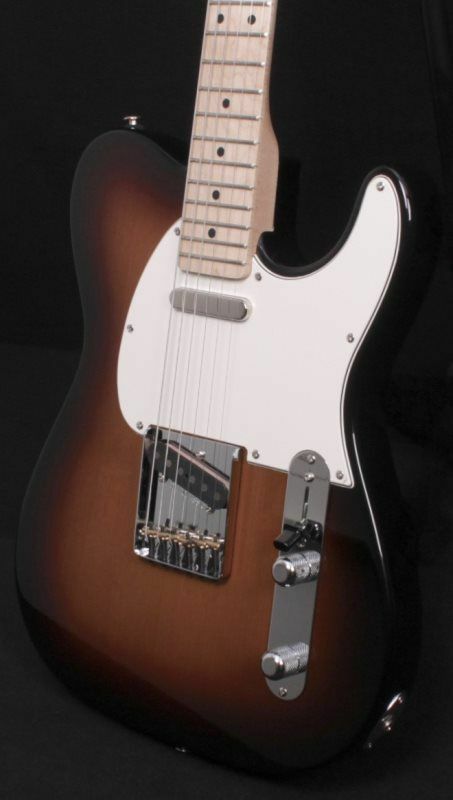 The combination of a Sugar Pine body and Alnico magnet pickups harkens back to early prototype instruments created by Leo Fender, yet the Launch Edition isn’t a time-warp instrument: this is a thoughtful remix that blends the best of old-school Leo with 21st century G&L quality and playability including Plek fret processing. 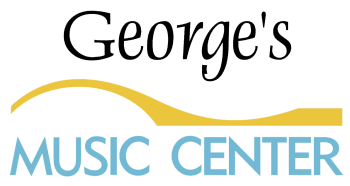 Custom Ordered by George's Music Center. 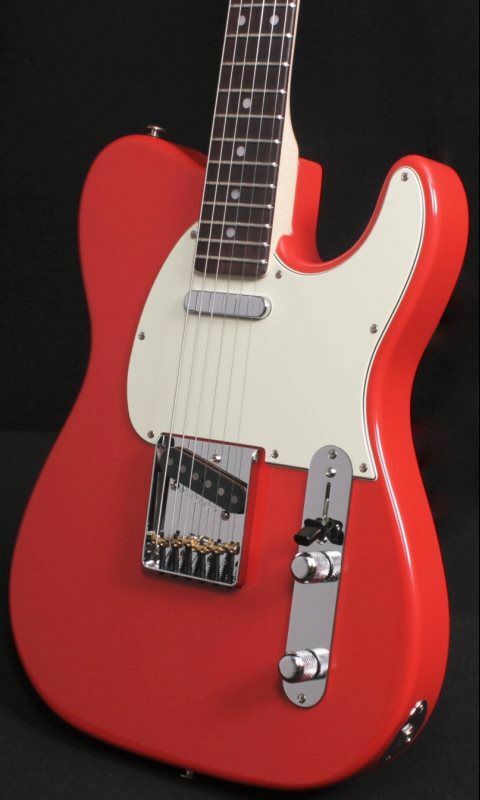 We ordered this beautiful Fullerton Red ASAT Classic Alnico with a mint green guard, 9.5” radius and rosewood fingerboard. This guitar is a pleasure to play. - Looks and tone to spare! Custom Ordered by George's Music Center. We chose this beautiful Royal Purple Metallic ASAT sporting a Pearled Pickguard and Maple Fingerboard and G&L knocked it out of the park - This unique ASAT is a real head turner. These Alnico wonders aren’t just another flavor-of-the-week, having been carefully refined by G&L’s Paul Gagon for personal guitars since the late 1970s. Back then, Gagon was an R&D engineer at another company when he was tasked with finding out what was so special about the early bolt-on guitars many players raved about. Gagon analyzed many examples of what were considered “holy grail” guitars, spending time out on the shop floor talking to builders still working in the pickup department since the ‘50s, all on a quest to discover where the real mojo was – and wasn’t. What he learned from the builders matched his own engineering analysis. You see, back in the day, the actual spec of pickups coming that down that old production line varied considerably. Moreover, that nagging imbalance between bridge and neck pickup was something he longed to improve on, and today, Gagon’s preferred pairing of Alnico V pickups has arrived to delight the ears of the discerning guitarists. To commemorate the initial production of these Alnico pickups, G&L has commissioned a special 100-instrument production of ASAT Classic Alnico Launch Edition guitars. The Launch Edition features a Sugar Pine body and coated in a gorgeous new Autumn Burst finish developed by veteran G&L painter, Malcolm McLamore. 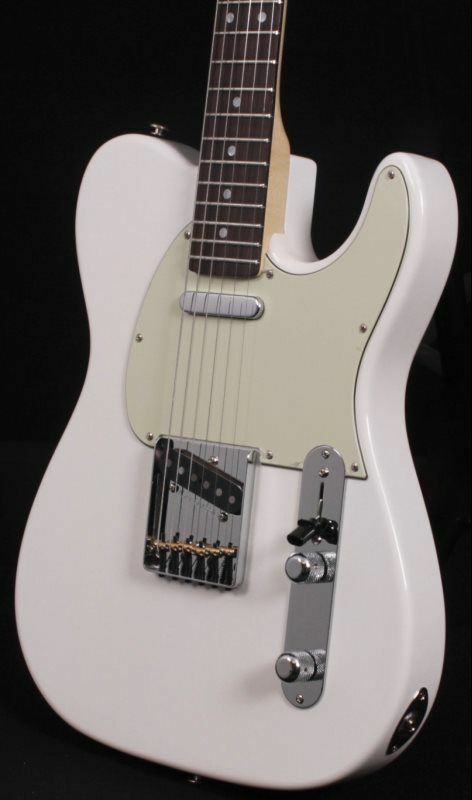 The combination of a Sugar Pine body and Alnico magnet pickups harkens back to early prototype instruments created by Leo Fender, yet the Launch Edition isn’t a time-warp instrument: this is a thoughtful remix that blends the best of old-school Leo with 21st century G&L quality and playability. Weight - 7lbs. 6 oz. This Bluesboy was custom spec'd by George's Music Center to capture the excitement of a slightly modified T-Style guitar of the 60's. But of course we kept the playability of a modern day guitar. It sports a 9.5" radius and medium-jumbo frets and a great neck profile. The pick-ups are a perfect marriage, a G&L ASAT bridge pick-up and a Seymour Duncan Seth Lover mounted in a "Green Guard"…another 60's appointment!! The 3-Tone Sunburst finish, green-guard, White binding and rosewood fingerboard is a combination that will inspire just about any fan of the T-Style guitar. Weighing in at: 8.6 LBS. The G&L ASAT® Classic Bluesboy™ is a factory-modded version of Leo’s final word on the traditional single-cutaway bolt-on axe. For players looking for the unmistakable warmth of a classic humbucker in the neck position, the Bluesboy delivers with a well-balanced pairing of a Seymour Duncan Seth Lover alnico humbucker and a single-coil G&L Magnetic Field Design™ bridge pickup designed by Leo Fender†. Framed in a classic boxed-steel bridge, the single-coil MFD™ bridge pickup delivers crisp attack with complex harmonics while individual brass saddles offer modern levels of intonation refinement. Flip to the neck ‘bucker and you’ll discover all the charismatic warmth you could ask for. Put ‘em together and you’ll find yourself immersed in exploring the limits of this guitar’s surprising versatility. The Bluesboy’s hard-rock maple neck features an easy-playing satin finish, comfortable 9 1/2" radius and Jescar 57110 medium-jumbo nickel-silver frets for silky playability. The moment you open the luxurious hardshell case, you’ll be greeted with a stunning instrument and delicious aroma that’ll have your pulse racing. This semi-hollow Bluesboy is an exceptional guitar, playability, looks, feel and most importantly - Tone! This guitar will not disappoint!! Weighing in at: 7.33 LBS. 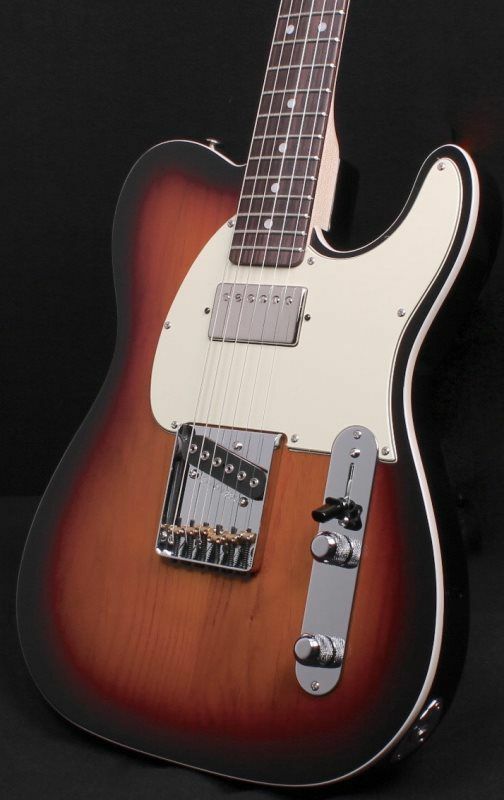 The G&L ASAT® Classic Bluesboy™ is a factory-modded version of Leo’s final word on the traditional single-cutaway bolt-on axe, and the semi-hollow version takes it further with G&L’s distinctive twin voice chambers and f-hole added to a beautiful swamp ash body.. For players looking for the unmistakable warmth of a classic humbucker in the neck position, the Bluesboy delivers with a well-balanced pairing of a G&L A2S4248N Alnico II magnet humbucker and a single-coil G&L Magnetic Field Design™ bridge pickup designed by Leo Fender†. Framed in a classic boxed-steel bridge, the single-coil MFD™ bridge pickup delivers crisp attack with complex harmonics while individual brass saddles offer modern levels of intonation refinement. Flip to the neck ‘bucker and you’ll discover all the charismatic warmth you could ask for. Put ‘em together and you’ll find yourself immersed in exploring the limits of this guitar’s surprising versatility. The semi-hollow body brings a certain “hi-fi” quality to the tone, softening the attack and slightly scooping the mids for accentuated highs and lows. The Bluesboy’s hard-rock maple neck features an easy-playing satin finish, comfortable 9 1/2" radius and Jescar 57110 medium-jumbo nickel-silver frets for silky playability. The moment you open the luxurious Tolex hardshell case, you’ll be greeted with a stunning instrument and delicious aroma that’ll have your pulse racing. 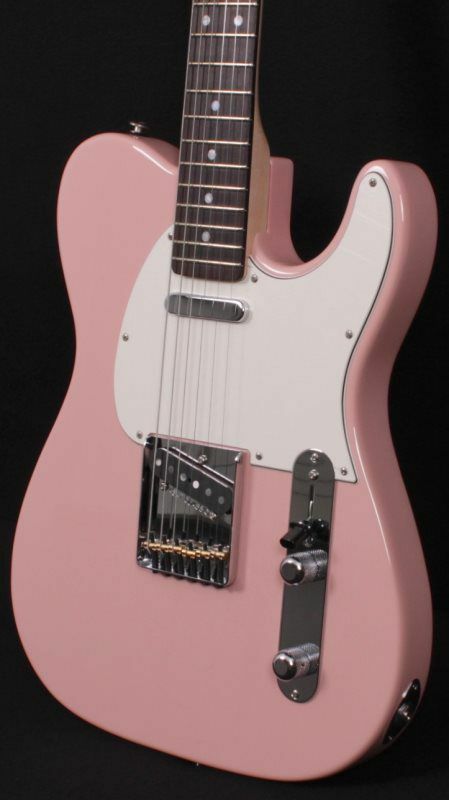 G&L just released the NEW Doheny - a new twist on a classic! As a long time Jazzmaster fan, I really dig this new G&L Doheny, the pickups are very diverse and the G&L tremolo is a breathe of fresh air. Whether your into Surf music, Blues or Funk, the New G&L Doheny delivers the tone!! Weight - 8 lbs. 10oz. Inspired by the classic surf sound born in Southern California, the new G&L Doheny™ takes its name from the iconic beach in the heart of Orange County where '60s surf pioneers became legends. Since those halcyon days, both music and surfing have evolved far beyond their roots, and so has the performance of the gear. Founded by Leo Fender† in 1980, G&L USA instruments continue to be made in the historic G&L facility on Fender Avenue in Fullerton, California, the Birthplace of Bolt-on™. Weight - 8 lbs. 10 oz.